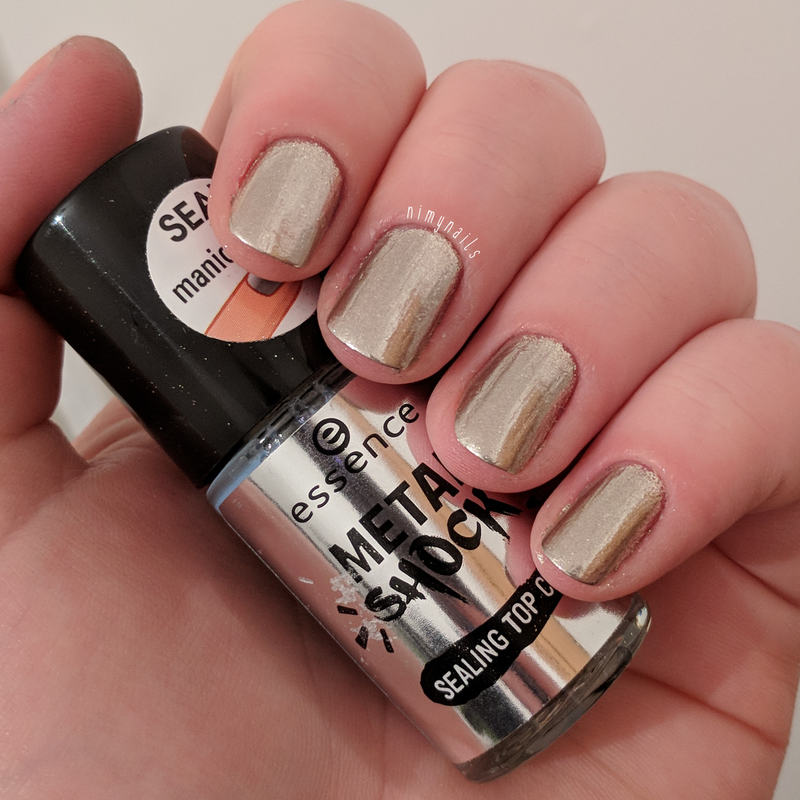 I recently tried 2 of Essence's Metal Shock chrome powders. This is my first time trying any kind of chrome powder, so I haven't tried any other products to compare these too. 1. Apply transparent nail polish or a top coat and allow to dry for approx 1 minutes. 2. Carefully dab a small amount of powder onto your nail with you finger. Softly rub the powder until a smooth surface is achieved on your nail. 3. Seal with the Essence Metal Shock Sealing Top Coat, let dry completely and wash off powder residues with water. I really enjoyed playing around with these powders, although they don't create a completely 'mirror' finish, it is a really pretty and shiny finish. 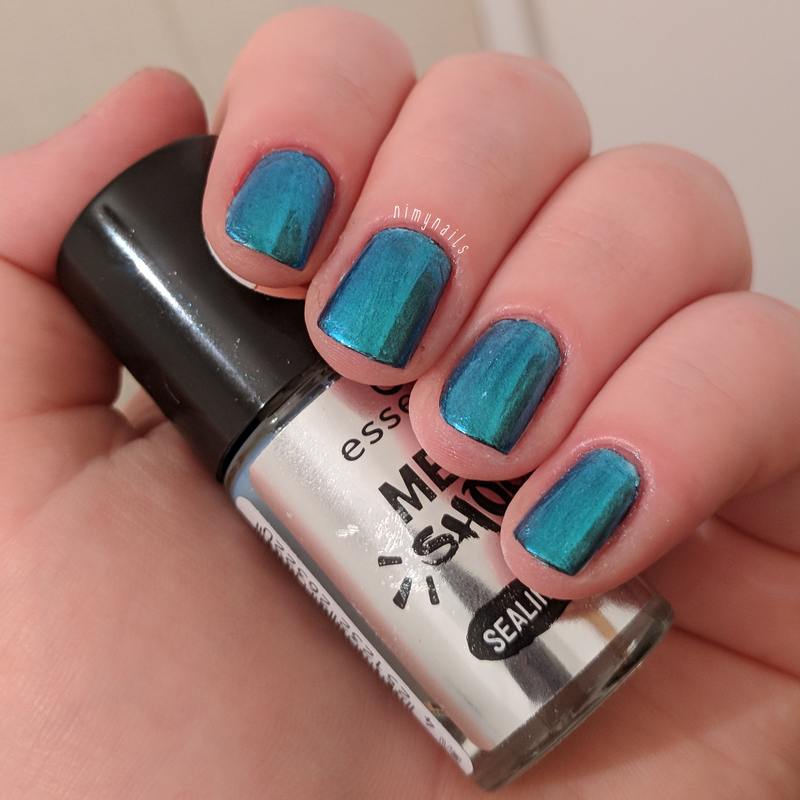 The 2 colours I tried: Mirror, Mirror On The Nail and Be My Little Mermaid, are both beautiful. I prefer the colour of the teal powder, but I prefer the application of the silver. Pros: - Price, they are only £3, so for a fun experiment they are not too expensive. - Good pigmentation, with good application or 2 coats. - Good colour selections (although I have only tried 2). - Beautiful shiny finish. - Top coat dries quite fast. - The excess washes off easily with soap and water. Cons: - Messy, this will get glitter dust everywhere. - Patchy if to applied perfectly. - The top coat is too thin of a formula for my liking, pools in the sides. - Some apply better over clear polish, some better over black polish. Tips: - Apply with finger, doesn't work with eye shadow brush. - Only works on gloss polish, does not apply onto a matte base. - Do more than 1 coat for full coverage. - Prepare for the mess, lay down some paper or something and avoid touching too many things before washing your hands. You can buy the powders for £3 each and the top coat is also £3, both from Wilko.